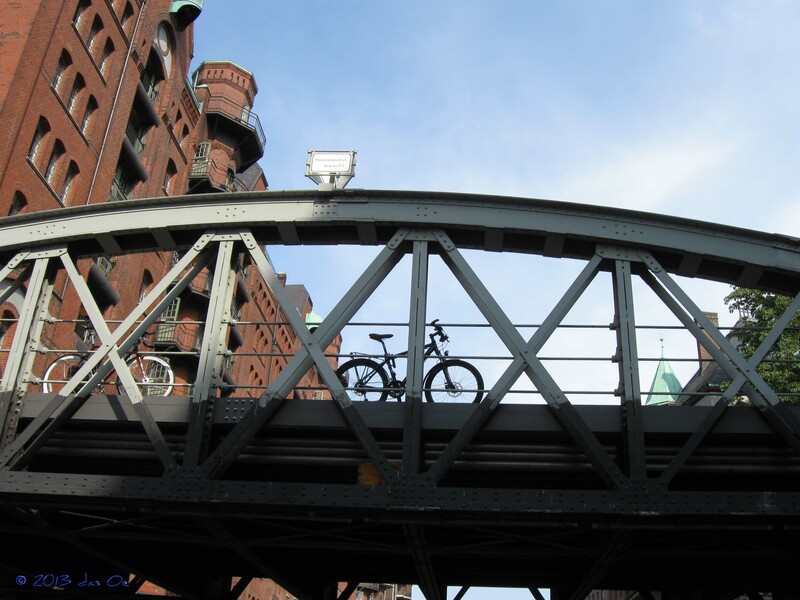 It’s only a week that I have been back from a 4-day trip to Hamburg, for riding the Cyclassics (which may turn out to be the only bike or biking connection of this post, in the end). And already there is a big Ken Kesey-like notion again, a longing for this very cool city – „cool“ in more than one sense of the meaning. 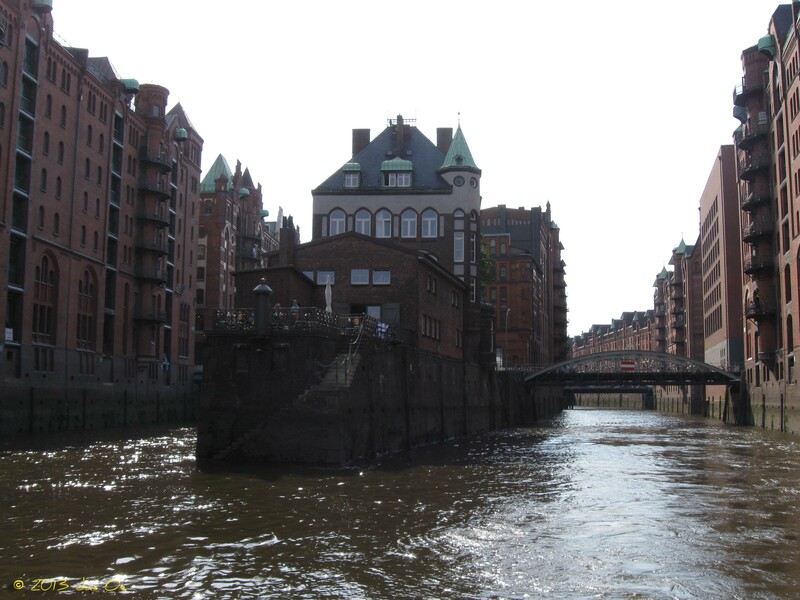 And although the weather is a lot better than its reputation, I still find „cool“ in Hamburg. On a ship cruising the harbor, for instance – with a little breeze cooling down the sun-burnt skin. 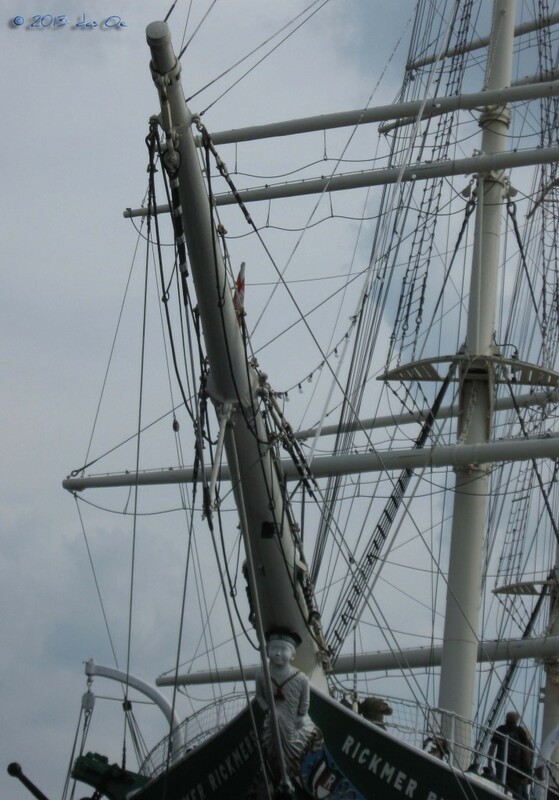 Going alongside the old Rickmer Rickmers: Almost 120 years old and still a very proud and, yes, cool beauty – impressive when you realize her size from the water below her. 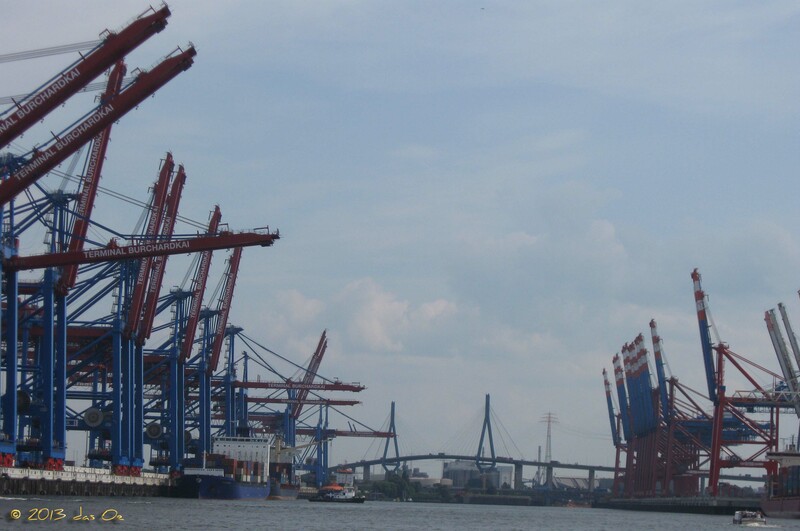 Or if you need bigger to be impressed, you will find it when cruising the container harbor, the biggest one in Europe after those of Rotterdam and Antwerp. 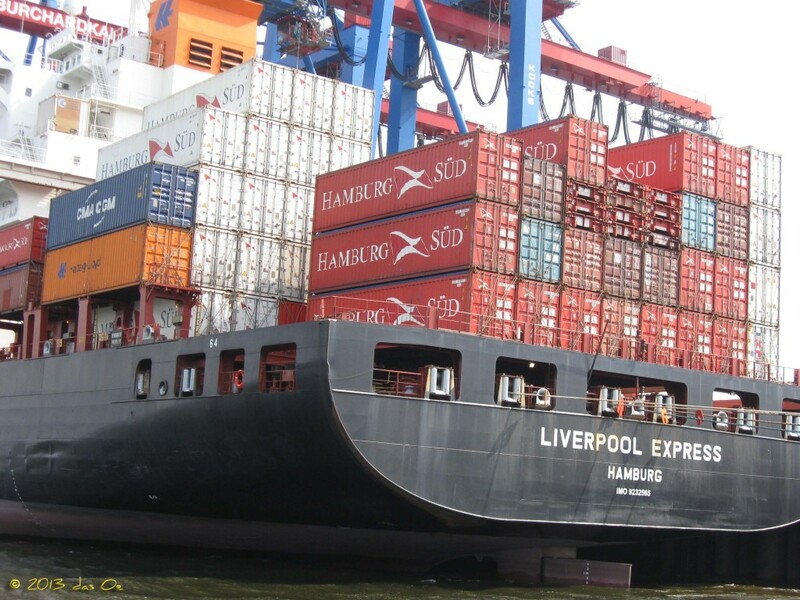 As we were taking a special, announced and licensed cruise, the captain was allowed to go alongside with two of the container ships – my neck is still aching when thinking about how I had to crane to catch a glimpse of the rails. …- although the best climber (don’t laugh) had to do some uphill racing (don’t laugh!) at a longer and higher (don’t LAUGH!! ), but not steeper part of the race course. 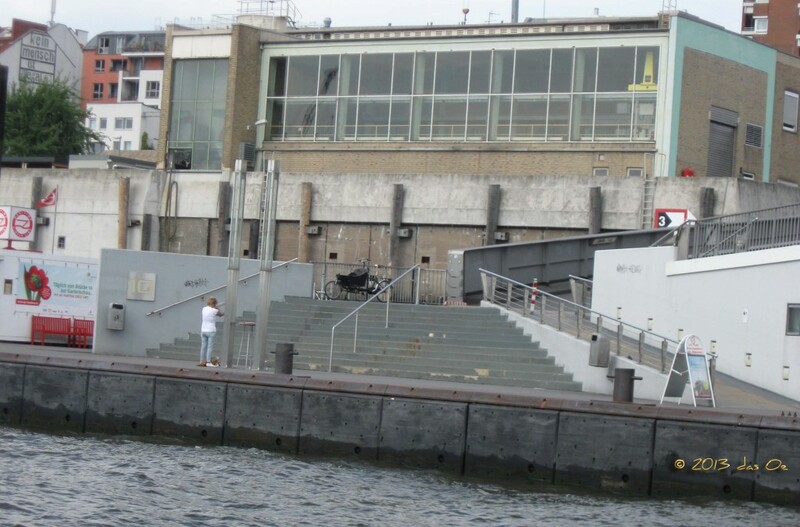 And the harbor is, in fact, also place to bikes – many of them, actually. You see them everywhere, on yachts, on trawlers, leaned against the back rail of the boat that serves as boatsmen’s chapel (the only one in all of Europe). 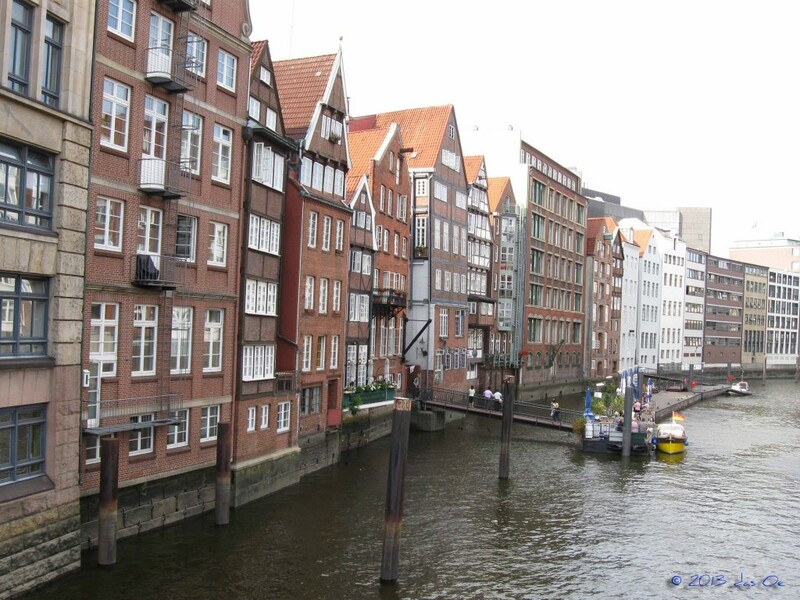 That’s the case even in Hamburg’s youngest district, Harbor City, which is – it seems – meant for the hip and trendy just-recently-well-settled urbanites. 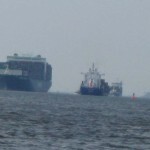 That’s what you see in their bikes parked on the bridges crossing the fleets, too. Admitted, though, some of the buildings erected in Harbor City are, again, very cool stuff. And can be appreciated from outside as well, by us mere aging middle class bohemians. 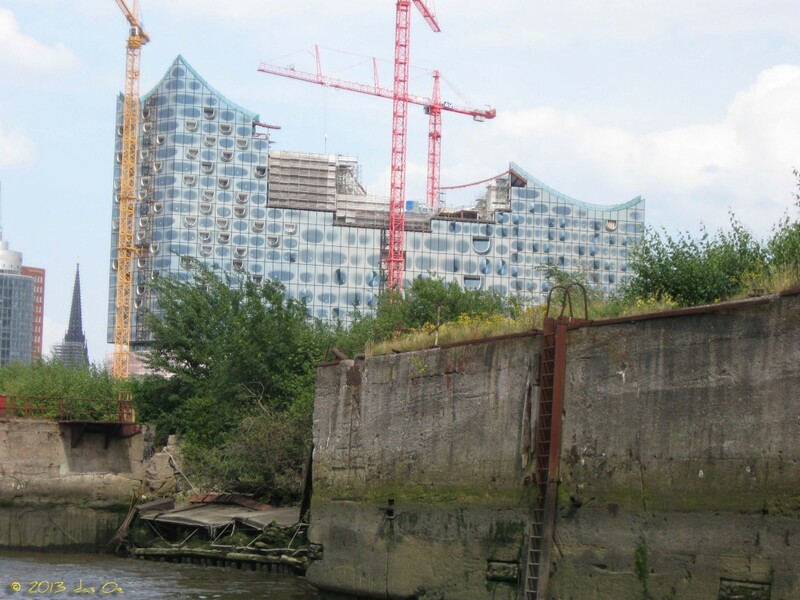 And the coolest (and by far most expensive) of them all is, no doubt, Elbphilharmonie. It has started to shape up, finally (don’t mind that it was supposed to be unveiled in 2010 already). Bets can still be placed what the final bill will read. 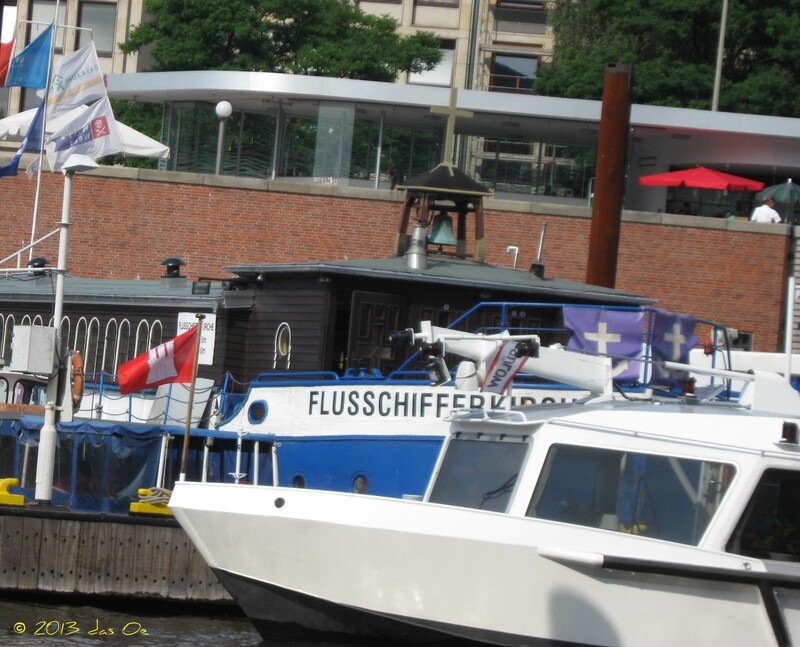 Last shocking news by Mayor Scholz to the citoyens of Hamburg was announced in April this year – he was talking € 789 million by then (which is more than ten times of the originally planned sum). But what the heck – it is going to be something that Hamburg can really pride itself on. And if you want to take a chill (to stay with the topic of „cool“ of this post) that costs a lot less and is maybe more befitting to us aging bohemians than to young hipsters, go to nearby Deichstraße and enjoy the yummy home-made cake on one of the café’s fleet pontons. I, for one, could not think of any better way of carbo loading on the day prior to the race.